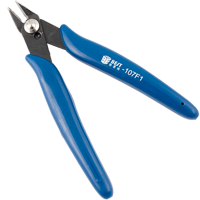 Bevel cutting plier Best BST-21 designed for precision cutting of world known Best company. 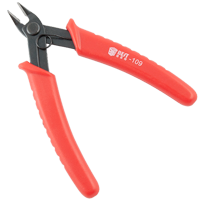 It has a comfortable handle covered with plastic pads and a stable connecting rod carrying heavy loads. 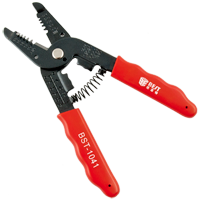 BST-1041 BEST Wire Cable Stripper Cutter Pliers is used for stripping and crimping the Connector 18 - 10 AWG. Operating range from 0.9 to 5.5 mm2. 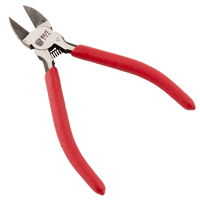 Cutters are not insulated! 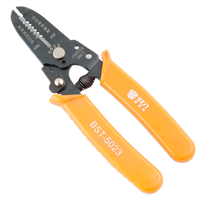 BST-5023 BEST Wire Cable Stripper Cutter Pliers is used for stripping and crimping the Connector 20 - 30 AWG. Operating range from 0.25 to 0,80 mm2. Cutters are not insulated! 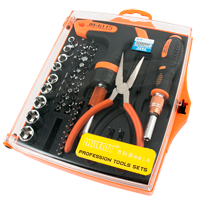 JAKEMY JM-6115 Precision Screwdriver Kit Repair 60in1 a high-quality set of precise disassembly, consisting of a handle in the T-shaped handle and simple nickel claws. The kit is designed both to repair electronic equipment (phones, laptops, tablets, navigation), but also contains tips used in car parts.